For those who've been eagerly awaiting the inevitable decorative swing away from cool gray and minimalist style, this is your time to start planning a room redo. Colors, patterns, whimsical furniture, and art-like fixtures are making a statement this year. Say goodbye to your rose gold accents and your Edison bulbs. 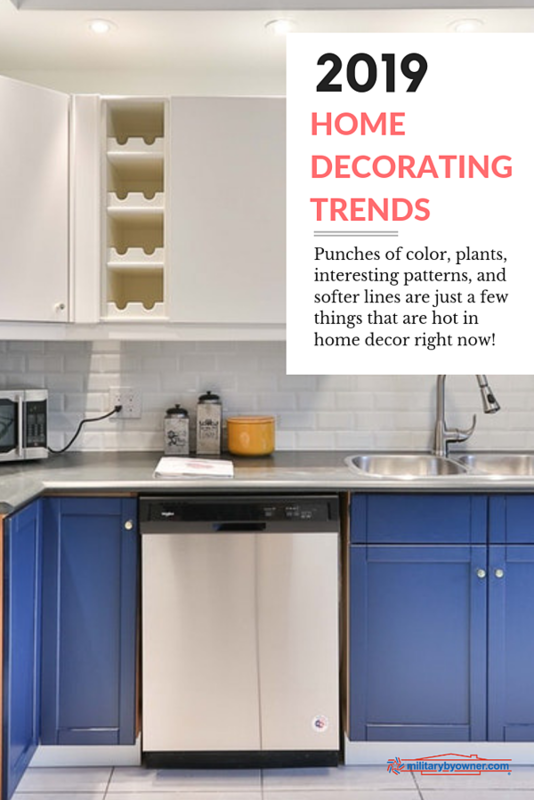 They served you (and millions of your closest friends) well in 2018, but the decorating trends in 2019 have moved in a different direction, enveloping a more personal style, while injecting warmth and life back into stark homes. We're craving color again after being told for years to stick with gray and white on our walls! Now, color saturation on every front is taking over. Because paint is a relatively inexpensive update, you may find comfort in starting a room update with a deep color they’ve longed to try, but have been too afraid. Midnight blues, dark teal, and deep charcoal are turning up in homes more than ever before. Strong colors such as these often work well in smaller, less public rooms. 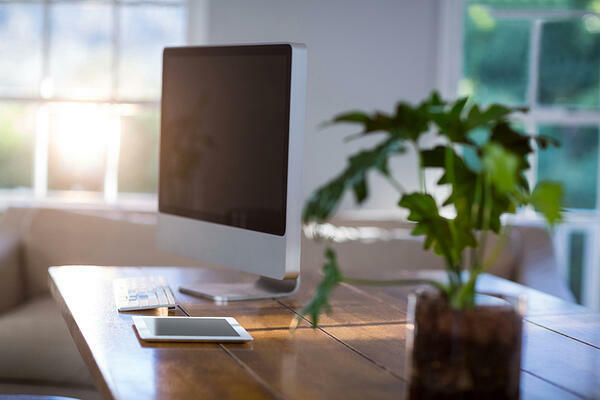 Bedrooms and home offices are perfect places to experiment, because homeowners want to evoke a comforting and relaxing atmosphere, but don’t want to overwhelm a large space with too much dark paint. 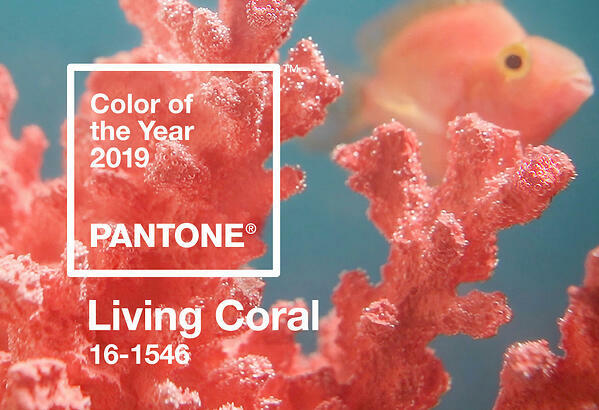 In keeping with the whimsical trend, Living Coral is an intense pinkish-orangeish-salmon color created to add playfulness into any room. Professionals can harness the power of the color and wind up designing the most popular space in the home, but non-pros will probably be best served by using smaller pieces, such as rugs or small furniture items, to get the happy look without overkill. Cool grays were first on the most wanted paint hue list for years, but richer grays with warm undertones are replacing the cool vibe. Paired with off-whites, warm grays are stepping up to take over the neutral category. Fun names like Gray Owl, Knitting Needles, and Dior Gray describe the versions of gray paint designers and everyday people alike are demanding. If you’d like to try a warm gray, do be careful. Gray as a general rule is never a warm color in the context of provoking an overall feeling. Its just that warm grays have hints of beige, brown, and off-white, (vs. lavender or blue found in cool grays) which produces a comforting neutral effect. Green is also a go-to color in 2019 for multiple reasons. Several trends use various verdant shades to reaffirm the desire to get back to nature and eschew technology, if just for a few moments. Green paint also tends to act like a neutral, waiting to be paired with many colors from blush to navy. Designers are showcasing green not just in paint, but throughout all kinds of furniture and textiles. Large, patterned and floral wallpaper is a top trend this year as well. Again, the reemergence of personality instead of bare minimalism has found another creative avenue in interior design. But, wallpaper is scary for many people. The permanency is just too expensive to overcome. If a floral or pattern is simply too perfect to ignore, there are two options to make the investment in time and money worthwhile. Wallpaper has become far more accessible because of the reinvention of removable wallpaper. Removable products are of higher quality and design than yester year, allowing not only homeowners, but renters, the chance to show some style, if only temporarily. Learn more about removable products in our article, Military Housing: Make It Your Own! If removable paper doesn’t seem to be scratching your design itch and only traditional wallpaper will do, stick to the smaller rooms, or even a hallway of the house. The learning curve for installation will be much less steep than learning on the walls of a huge living space. 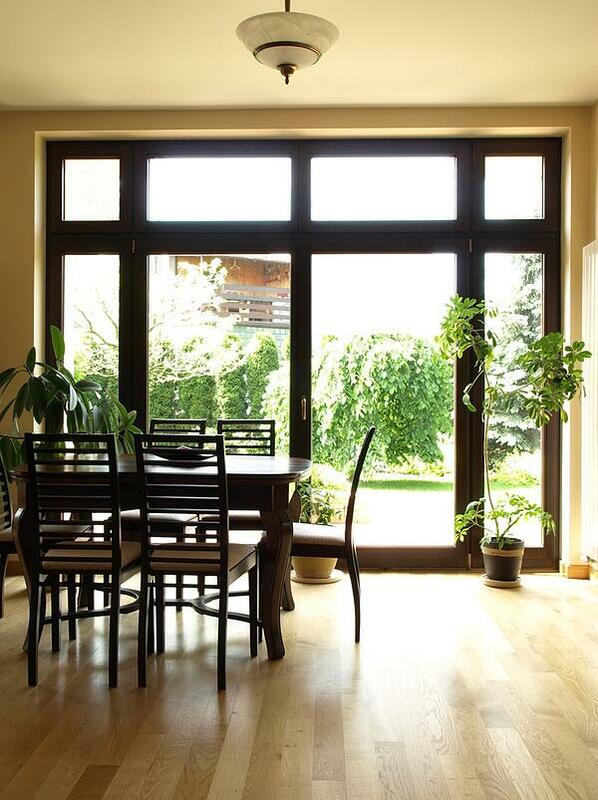 Even if you do choose for professional installation, smaller rooms are much kinder on the bank account. Ever hear of Memphis, or Neo-Memphis Style? Probably not. But, you’ve seen its influence and not realized it was an interior design movement. Remember the 80's and 90's TV shows, Pee-wee’s Play House and Saved by the Bell sets? Behold, Memphis Style at some of its pop culture best. Weird, right? Even more weird is that Memphis was born in Milan, Italy, with serious thanks to American icon, Bob Dylan. Italian designer Ettore Sottsass was inspired by Dylan’s song, Stuck Inside of Mobile with the Memphis Blues Again. Today, Memphis Style strikes back at sparse design that has dominated in recent years: Scandinavian, Minimalism, and to an extent, Modern Farmhouse, because it has become so mainstream. The point of Memphis Style is contrarian, to compete with popular or ingrained interior designs. Memphis Style does have core elements, however, part Art Deco, part Pop Art, and part Kitsch from the 1950's which equals a whole lot of spirited and colorful design. Furniture fashion is taking a bit of Neo-Memphis Style by adding soft lines where strong angles and straight lines have dominated. Camel back couches are an example. Upholster said couch in a deep emerald velvet, add a bucket style chair covered in cozy fabric, and buyers can knock out several 2019 trends in one purchase. The always popular open concept preference of home buyers everywhere remains on top, but some tweaks are being made to give the space the feel of separate rooms by adding see-through dividers. Dividers are created from many materials like glass and steel and shaped into designs, such as a grid, that trick the eye into viewing the open space as divided. Although succulents are plants, their day in the proverbial sun is over, making way for many more substantial varieties. Small, tall, and wide, all shapes play a crucial part in many takes on interior design today. Not only do they provide health benefits (cleaner air, better breathing) they provide plenty of visual interest. Odd corner? Put a plant there. Need to create a separate space for a small work desk? Two tall, potted plants should do the trick. Jungalow and biophilia (emphasis on the relationship between people and nature) sound a bit funny, but they are two trends that center on adding plants and natural elements to complete the look of a room. 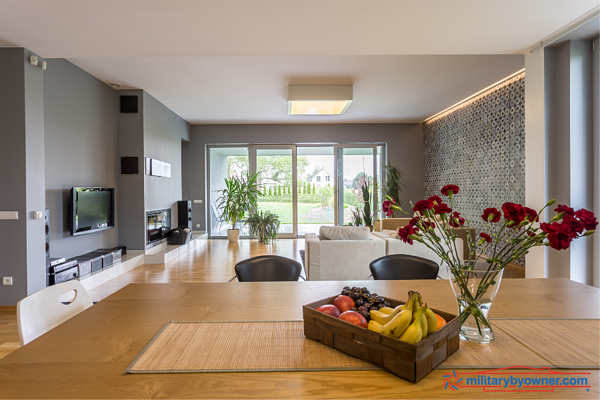 Attempting to bring the outside in while implementing a holistic vibe is right on track for creating a home you can’t wait to nestle into. Try adding hearty plant varietals such as philodendrons, Devil's ivy, snake plants, rubber plants, and dracaena. Classic white kitchens could never go out of style completely, but they certainly can take a back seat to colorful kitchens for a while. Once more, pristine, shiny, hard, and cold is out, and warm personality filled design is in. 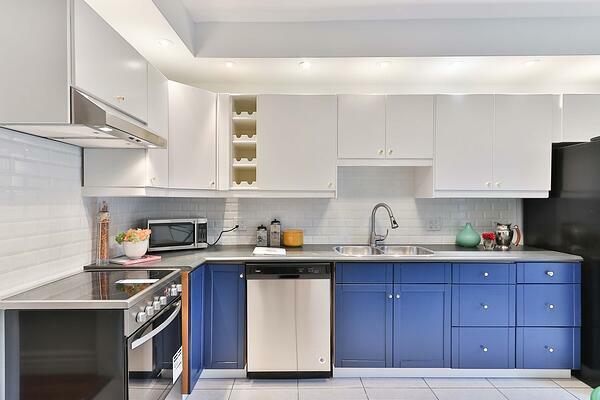 The best way to jump into this trend is to consider color cabinetry. Say see you later to cherry wood cabinets and think hard about choosing a color that represents how you want the space to feel. Learn more about kitchen renovations in our post, How Much Will a Bathroom or Kitchen Renovation Cost You? Blues and greens are very popular because they bring more life into an already bustling room, yet they ground the activity from feeling overwhelming. At the same time, however, they look completely natural and not out of place. True tuxedo kitchens (white upper cabinets and black lower cabinets) are gaining steam in popularity because they add classic design elements with a bit of character. Plus, the wear and tear on the bottom cabinets is far better concealed than on a light color. If black sounds too scary, a midnight, or navy blue does the trick too. Backsplashes are statements now. Ceiling to counter designs are holding strong, but go-to subway tiles are overdone, so trying a new pattern or finish for the backsplash will change up the norm. Embellishing the backsplash with floating shelves offers the chance to display whimsical artwork or cherished collections. As part of building your nest-home, consider that your bathroom is no longer only for utilitarian purposes, but a destination to unwind. The bathroom is a destination customized by you to look forward to time for regenerating. A standalone tub is a must have feature, as is adding matte black fixtures into the color scheme. Matte black options are the fastest growing decorative plumbing category, offering more options than ever before. Other design elements showing themselves into the bathroom include exposed shower pipes and bucket or trough sinks. The exposed trend is relatively new this year, and they are certainly functional, but they also display the working pieces as artful design instead of simply a way to transport water. Made for interior decorating fans everywhere! One of the best trends emerging this year is the concept of combining bits of design style from all points on the expense spectrum. Budgeting is normal for most at-home decorators, so the embrace of high and low design makes a lot of sense. Perhaps you splurge on a hiring a pro decorator for an hour or two to get solid advice on furniture placement or a color palette. But, you also use the time to discuss suggestions for what artwork and accent pieces to hunt for, and where. It’s truly the best of both worlds, paying for professional advice that includes recommendations for purchases from Target, West Elm, or from your pick of favorite stores. Get more design ideas on our Home Decor Pinterest board! No doubt, many of these trends are appealing and even enviable, but home owners should be concerned with how many and how much to incorporate when staging their property to sell or rent. A sophisticated eye will truly appreciate a Living Coral painted kitchen, but everyday buyers will probably only see buckets of expensive primer to cover it up later. For truly motivated sellers, it's an excellent idea to visit a home improvement or paint store to ask questions about what the locals are requesting. Paint experts will immediately point you to the colors they repeatedly prepare. Neutrals are preferred by the masses for a reason. They appeal to the masses! Not only because their colors are easy to work with, but from a budget point of view, they are more cost effective, especially for expensive purchases like couches or carpet. For the best ROI in most markets, stay safe with neutral fabrics and colors, but add personality with paint in small doses and with items that can be packed away with the owner. It's tough, trying to marry on-trend design into homes that are suited for typical families everywhere. It's even more difficult to reflect a current, yet appealing home to a pool of buyers or renters. Access home staging, decorating, and DIY resources from MilitaryByOwner to give you plenty of options to take a chance on design updates without blowing a budget or turning away potential offers. For more inspiration, read over our Home Decorating and Maintenance Resources.